In 2016 the training and anticipation for the second running of the Classic Mile was started early by the special event hosted at Kuhl's Highland House on March 2nd, where national spokesperson for "Bring Back the Mile", Jim Ryun made a guest appearance. You can see and read more about Jim's warm and inspiring visit with us here. In America, the Mile is deeply embedded in our culture and history. We are one of the few countries in the world that still uses the mile as a distance measurement and thus, as a centuries old result, Americans think, speak and relate in miles not kilometers ("How many miles did you run today?" or "I averaged five-minute miles in my race", etc.). In short, Americans 'get' the mile, not the 1500 meters. mile. It is time we Bring Back the Mile - American's distance! Join the Movement. You Ready to Run a Mile? The Classic Mile, in Middletown, New York, is a series of One Mile track races on the 400 Meter track at Middletown High School. Each mile heat will feature no more than 24 runners. There will be an Elite Mile (invitation only). One Elite Mile race for Men and One Elite Mile race for Women. There will be a Boys only High School Mile and a Girls only High School Mile. All Mile heats after the High School races will include men and women running together based on prior best times that they have run over the 5K distance during the prior year, on the track or the roads, leading up to race day, see rules below. The finishers of all the Mile heats will be sorted into the following age groups: 19-29; 30-39; 40-49; 50-59; 60-69; 70 & Over. Awards in each age group will be given to the top three Men and Women. 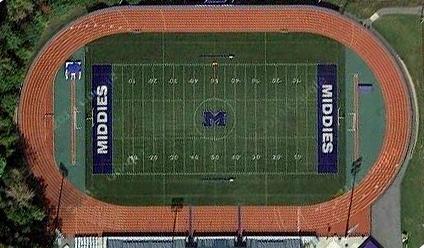 It is the wish of the organizers of the Classic that all Classic Mile events are staged in their entirety on the track of Middletown High School's world class facility. The sorting into heats based on time is being done to avoid excessive "lapping" during each heat. Entrants must be able to run at no slower than a nine minute Mile. This limit is being implemented in the interest of time management. It is the further wish of the organizers that the entire Classic Mile track meet take place in an orderly and timely fashion. No applications will be accepted after 4 PM, Friday, June 3, 2016. There will be NO race day registrations due to the need to organize competitors into sections (heats) by seed times. Seeding into sections (heats) is based on the competitor's previous best 5K time during the year leading up to the 2016 Orange Classic. Proof must be shown on the application that the competitor can run better than a 9:00 minute mile. Seeding for all heats will be based on previous mile times and will be of mixed age and gender groups. All runners must report to the Registration table by 10:30 AM on Saturday, June 4, 2016 to receive their section (heat) assignments and hip numbers. Each section (heat) will have up to 24 competitors. A California start with up to 8 runners starting outside of lane 4 and cutting in at a proscribed distance at the end of the first turn may be used in each section. The order of finish will be established using the assigned hip numbers. A chute at the finish line will be used to insure accuracy in recording the proper order of finish. All competitors will receive a participation medal.